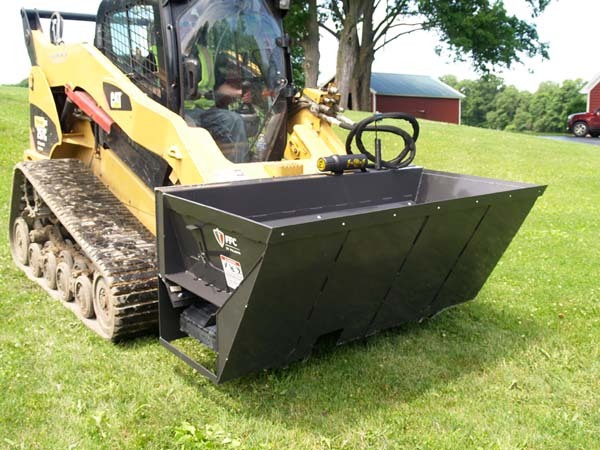 An excellent unit in clay and densely packed soil, tub grinding and mulch yards find this to be an excellent support tool. 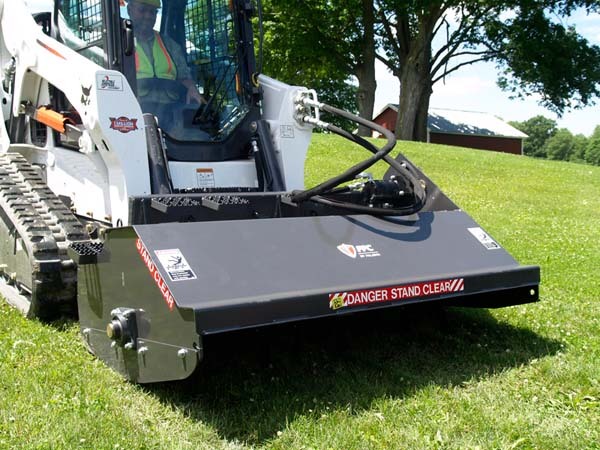 Features a full-floating design to follow compound grades; oscillates 18 degrees from side to side for crowning roads. Tines increase digging action for grading and separate debris for site cleanup. Scarifies and levels hard-packed soil when grading. 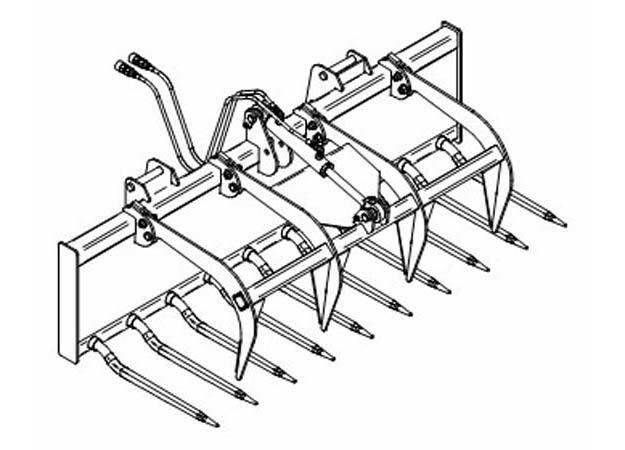 Increases productivity over collection-style rakes by operating in a forward direction.